The target that time was Andrew Tuono, the boyfriend of Galati's daughter Tiffany. The attempted hit went down. Tuono was shot three times in the stomach outside his Atlantic City home on Nov. 30. He survived. The two shooters were arrested within minutes of the assault and quickly rolled on Galati, whom they said promised to pay them to kill Tuono and had also hired them to rub out Joseph Rao and his son, Joe Jr., because Galati believed -- correctly -- that Rao Sr. had testified against him before a grand jury in an insurance fraud probe. "This guy is ratting on me on an insurance thing," alleged hitman Ronald Walker told investigators Galati told him. Walker and Alvin Matthews have been arrested for the Tuono shooting. They have also admitted, according to an affidavit that is part of the pending Galati case, that they were tapped by Galati to shoot the Raos. "They gotta go," Walker said Galati told him. The affidavit of probable cause, the basis for Galati's arrest in December, was sworn to by Philadelphia Police Det. Robert DiFrancesco and Pennsylvania State Trooper Michael Romano. DeFrancesco is assigned to the District Attorney's Insurance Fraud Unit. Romano is part of an Organized Crime Task Force. They jointly interviewed Walker and then Matthews who were being held in the Atlantic County Jail after their arrests by Atlantic City police. During his interview, which took place on Dec. 6, Walker told the investigators that "sometime before Halloween" he met with Galati and Jerome Johnson, a Galati associate who has also been charged in the case. 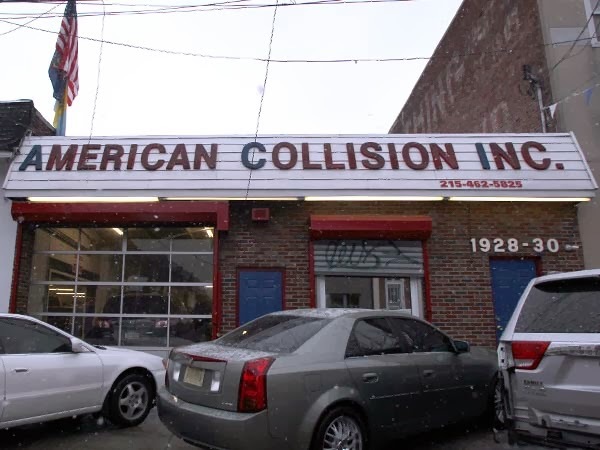 The meeting took place outside American Collision, the auto repair shop Galati runs at 1930 S. 20th Street. Walker said the meeting was set up by Johnson, a lifelong friend who told him "Galati had a problem" that he wanted to discuss with them. Walker said the three of them walked up the street from the auto body shop, pausing in front of what appeared to be an abandoned house nearby. There, he said, Galati asked him to kill both Raos. "Galati wanted him to go to the garage and shoot both of them in the head," according to the affidavit. Galati also asked how much it would cost. After Walker told him $20,000 for each, Galati allegedly replied, "Alright." Walker told authorities Galati reached in his pocket and pulled out a wad of cash -- $800 -- which he handed him. Walker considered it a down payment for the murders. What neither Galati nor Walker realized at the time was that the state police, who had begun an insurance fraud investigation a year earlier, had a surveillance camera mounted across the street from American Collision. Romano, the state trooper, spent hours after the first interview with Walker reviewing tape from October 2013. The tape, according to the affidavit, includes video from October 23 that shows Galati meeting with Walker, Matthews and Johnson outside the auto body shop between 1:45 and 2:45 that afternoon. While there apparently is no audio, that kind of evidence could be effectively used by prosecutors to support Walker's story if and when he takes the witness stand against Galati. Walker and Matthews also told the investigators that after they were assigned the murder contract on the Raos they did "recon," visiting Rao's auto body shop at 9th and McKean Streets in South Philadelphia. In fact, it appears Joseph Rao and his son unknowingly stared death in the eye at one point. Matthews told the investigators that it was Johnson who solicited him to get involved in the Rao contracts. He said Johnson told him that Galati wanted Joseph Rao Sr. killed because he was "testifying against him...or trying to get him indicted or something along those lines." Mathews said he knew the Raos from another body shop they once owned at 24th and Wharton in South Philadelphia. Matthews said he was promised a car and some money, but he said he didn't know how much, for carrying out the hits. He said he visited the shop at 9th and McKean pretending that he was interested in a job cleaning cars. The would-be hitman said he gave Joseph Rao Sr. a phony name and telephone number. When questioned by investigators, Rao said he remembered a black male stopping by the shop sometime in late October or early November looking for a job "cleaning out cars or detailing cars," according to the affidavit. Rao said he thought that might be a good idea and told his son, who was also in the shop, that it would "save you from doing it. Matthews told authorities he did not want to carry out the hit that day because there were others in the shop. He said he went back to a car where Johnson was waiting with a gun and told him that Rao wasn't there. He and Walker also told authorities that they went back to the shop in November to carry out the murders and found it had been padlocked, apparently as part of a city investigation into insurance fraud. At that point, Matthews said, Johnson told him "it's time to concentrate on the young boy (Tuono) now." Both Walker and Matthews told authorities that they had previously been hired by Galati to vandalized cars. Those cars would then to brought to Galati's shop for repair work. That scenario was similar to what authorities alleged Galati was doing in the early 1990s. 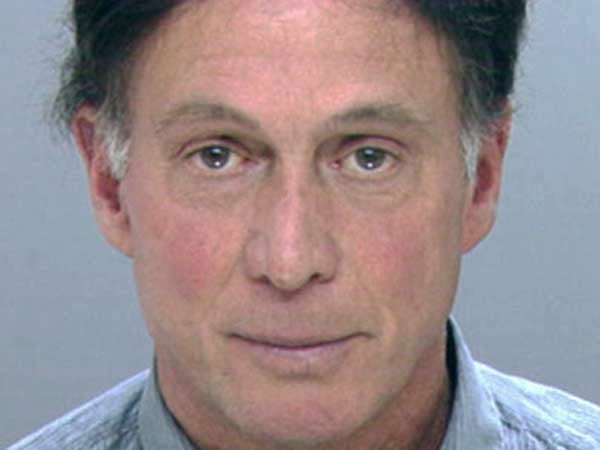 He was convicted in 1995 and served 37 months in a federal insurance fraud case. 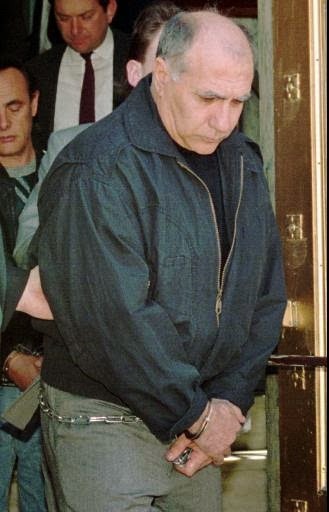 Mob associate Louis "Bent Finger Lou" Monacello told a jury at the recent trial of mob boss Joe Ligambi and his nephew George Borgesi, that he and Borgesi worked similar scams for Galati. He said Galati would make copies of keys to cars of customers. After the cars were repaired, Monacello said, Borgesi, using keys provided by Galati, would steal the cars and crash them into other vehicles that also belonged to Galati customers, creating more work and potential insurance windfalls for the auto body shop owner. Monacello said he was paid $100-a-night. Walker and Matthews both told investigators that Galati paid them for their vandalism work. Walker estimated that he had damaged about 20 vehicles for Galati and was paid between $500 and $1,500. Matthews said he was involved in 50 incidents and was paid from $20 to $50 per event. Matthews said he also was paid to "set numerous fires on boats" and at least one house, according to the affidavit. 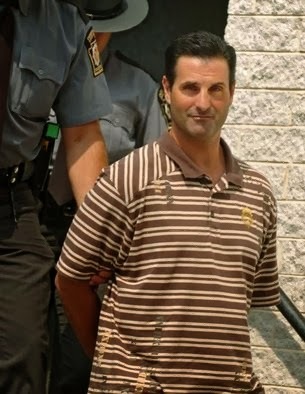 Sources said that federal authorities in New Jersey have taken up the case there against Galati which includes the attempted murder of Andrew Tuono and insurance fraud connected to at least one boat fire and other acts of vandalism. The Philadelphia District Attorney's Office, meanwhile, is expected to drop another shoe with an indictment that focuses on the insurance fraud that precipitated the investigation of Galati. That case could include multiple defendants. Whether any of them are tied to organized crime is open to speculation. For years Galati has basked in the low-life celebrity of knowing and being around mob figures including Borgesi, Ligambi and Joseph "Skinny Joey" Merlino. Sources say the insurance fraud case could spill over on to members of Ligambi's family, both his relatives and mob associates. 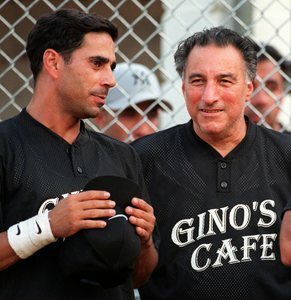 From Florida, Merlino recently said that "the only thing Ron Galati can say about me is that my hair is black." Authorities have long believed that it was in Galati's auto body shop that a stolen van was converted into a "hit machine" by members of the Merlino organization. That van, with two portholes cut in its side, was used to carry out the infamous ambush of mob boss John Stanfa on the Schuylkill Expressway in the middle of morning rush hour traffic on August 31, 1993. Stanfa's car was strafed by fire from two machine pistols that morning. The mob boss, in the front passenger seat, ducked. His son Joseph, riding in the back seat, took a bullet to the cheek. But the younger Stanfa survived. The statue of limitations on that shooting has long expired. Unless authorities were able to roll it into a racketeering case, anything Galati knows about it might be useless. What's more, District Attorney Seth Williams has made witness intimidation cases a high priority in this office. Philadelphia has a long history of witnesses being killed, particularly in the drug underworld. Kaboni Savage, convicted last year and sentenced to death, was charged with 12 murders. Eight of those were linked to witness intimidation, including the firebombing of a home in which two women and four children were killed. It may be that the District Attorney's Office doesn't want to make a deal with Galati who may have placed himself in a position to be the poster boy for the DA's war against witness violence. In that case, whatever -- if anything -- Galati can say to tie some Ligambi associates to insurance fraud might not be enough to get him out from under his own problems. The attempted murder of Andrew Tuono adds another "family" twist to the building Galati saga. Sources said Galati, acting like Don Corleone, held court in an Italian restaurant outside of Atlantic City shortly before the shooting and may have discussed what was planned with others that night. More troubling, say both underworld and law enforcement sources, is that the attempted hit was carried out in front of Galati's daughter. Both Tiffany Galati and Tuono are believed to be cooperating with investigators. George Anastasia can be contacted at George@bigrial.net.